Following on from the success of our previous challenges, we've teamed up with local nutrition expert, Marcelle Dubruel, to bring you another great healthy eating & exercise plan, just in time for the Little Black Dress season! Once you've signed up, you'll be invited to join our LBD Closed Facebook Group on the 27th October, where you'll meet your fellow participants. You'll then be able to download your healthy eating plan and get ready to start. 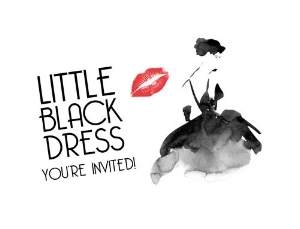 Your LBD Challenge runs from the 1st to 30th November. Over the weeks, within this private group, you'll share your journey, motivating and inspiring each other along the way. Bonus Treat Friday - there's cake! It's just £65 for the Challenge, and you get to keep all of the recipes. Sign-up with a challenge buddy / introduce a friend, and enjoy a discount. If you sign-up together, it's just £110 for two (you each pay £55). Head over to our Bootcamp page to book your place, or drop us a line for more info. And it's not just for girls! Guys are welcome to join the challenge too (Black-Tie Challenge doesn't quite have the same ring to it). P.S. Don't be a plump pumpkin, purchase your class passes online today!